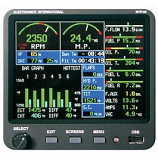 BendixKing KSN 770 NAV/COM Display. 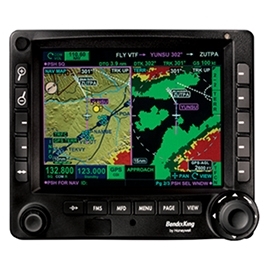 The BendixKing KSN 770 NAV/COM Display has a hybrid interface; the perfect blend of touch screen and hard buttons. 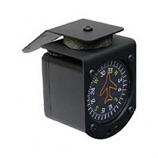 Enhanced with safety and situational awareness this unit features Wide Area Augmentation System (WAAS) and Localizer Performance with Vertical Guidance (LPV). It also displays a full complement of safety systems including: On-board weather radar, Enhanced Ground Proximity Warning System (EGPWS), XM Datalink Weather, Terrain awareness and warning System (TAWS) and Traffic Collision Avoidance System (TCAS). And split-screen capabilities. Never before have so many features been designed into an MFD that will bring value to the pilot in terms of safety and ease of use.